One of the barriers for 3D printing is the technical acumen required to design a 3D object. Not everyone knows CAD or has the 3D modeling skills to create a digital file fit for printing. But what if all it took was a simple scan? You could take any object in the physical world, put it in a digitizer and then let the technology step in, scanning it into a digital file and replicating it in the real world. Is this some bit of future tech? Some Roddenburyesque flight of fictional fancy? No, it’s MakerBot’s new Digitizer. It’s real, and it’s coming soon, this fall. Our minds are thoroughly blown with this. 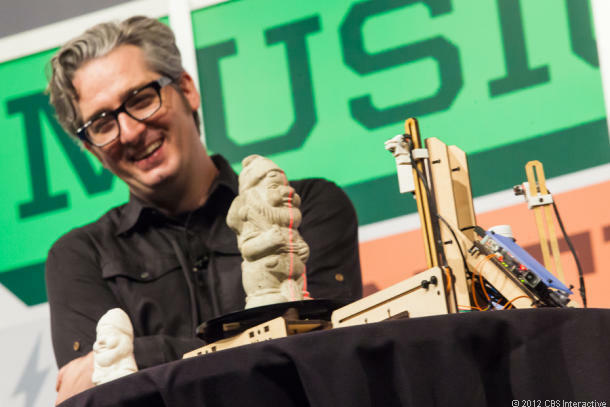 Bre Pettis, MakerBot’s CEO, unveiled a game-changer today at his keynote at South By Southwest — a 3D scanner that makes copies of physical objects as simple as getting 2D photocopies. The Digitizer prototype has cameras and lasers that scour the subject, and the system translates that into a data file used by its Replicator 3D printers to manufacture a duplicate. The crazy part? It all happens on your desktop. The Digitizer can take any object that’s 8 x 8 inches (or smaller), and in less than three minutes, turn that into a design that can be printed over and over again. Of course, you’ve got to wonder how makers of toys, kitchen tools, jewelry, desk accessories, or any other manufacturers will feel about a consumer technology that allows people to copy their products. But, for now, that doesn’t undercut the incredible innovation and potential for 3D-printing technology, whether for business or even medical advances. And now that it has been made more user-friendly, the use cases for individual consumers just got more interesting. Success in technology almost always boils down to two things — user experience and affordability. MakerBot may have just slam-dunked the first one. Now, if only it could bring down that $2,200 Replicator price tag. 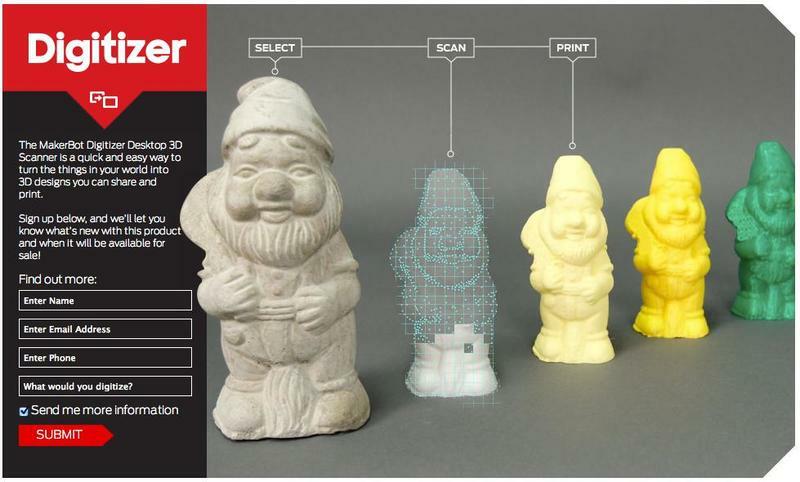 As for the retail price of its Digitizer Desktop 3D Scanner, we’ll keep our eyes peeled for further announcements. Now that the technology is here to scan any objects in the real world and 3D print it from the desktop, what would you replicate with this system? Tell us in the comments.